I was excited to be exhibiting at the Marketo Digital Marketing Summit the other week representing WorkSpan and attending as many sessions as possible. The number of attendees and sessions continue to grow; the content and attendee experience keep getting better and better. It’s great to see how marketing is evolving and how solutions are all focusing on providing targeted value combined with strong measurement. A few of us from the WorkSpan team participated in Sunday’s Partner Summit. With the luncheon, breakout sessions, and talks featuring Marketo executives, we were thrilled to see the renewed focus that Marketo’s CEO, Steve Lucas, is placing on developing strategic partnerships. His vision for Marketo as an Engagement Platform complemented by scores of partner solutions aligns with WorkSpan’s mission of helping organizations manage marketing campaigns with key partners more easily, effectively, and with greater transparency. Steve and other Marketo execs came by to see a short demo and were impressed by WorkSpan’s functionality, not to mention our integration with Marketo for campaign reporting. What are the common challenges when working with key partners? Throughout our conversations with dozens of partner marketing and alliances executives, we uncovered a handful of challenges, but these five were common to all the teams and organizations regardless of industry and company size. There’s no easy way to collaborate and work with key partners. Each company has their own processes and systems for communication, collaboration, and document sharing. Integrating a partner into these systems and processes is challenging if not impossible. There’s no system of record for joint marketing campaigns. Various individuals from each partner team would share coordinate work, track goals, and share results via emails, spreadsheets, and powerpoint; eliminating any context of what was needed to achieve the end results. It’s difficult to hold their internal team accountable for results, let alone teams and individuals from their partner’s organization. Partner marketing and strategic alliances program owners are constantly having to chase down results to share with their external marketing partners. Sometimes they felt like they and their strategic counterparts were bottlenecks. There’s no simple and straightforward way for these partner marketing and alliances executives to discover and interact with their partner’s internal teams or campaigns. From the time a partnership announcement was released, to the time an integrated solution was released keeps growing and growing. Sometimes a partnership is announced, without any follow up activities. These marketing and alliances executives are all asking for a way to quickly get marketing campaigns out the door to build on the momentum of these partnership announcements. WorkSpan’s exclusive invite-only solution was designed to help marketers span these organizational challenges. By having one place to align, collaborate, and build campaigns with key partners, marketers can now spend more time on developing and executing strategy, rather than coordinating tasks. Instead of building campaigns from scratch, marketers can now discover and join campaigns in flight for optimized marketing velocity and budget investment. Lastly, by integrating Marketo and other marketing systems, as well as your partner’s marketing systems, WorkSpan can help you measure, strengthen, and improve your partner engagement metrics. 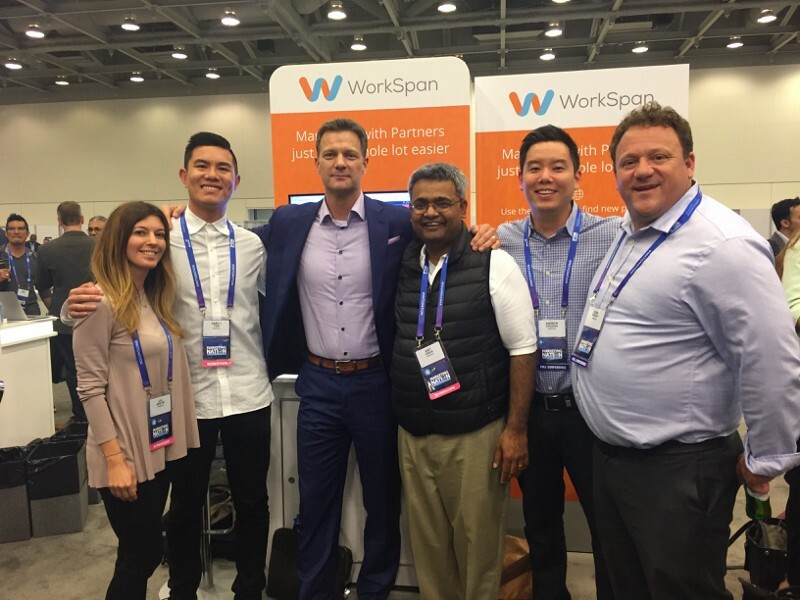 WorkSpan is available on Marketo Launchpoint! Speaking about our Marketo integration, we’re proud to be newly listed on Marketo’s Launchpoint site as an integration partner. Our integration with Marketo allows you and your partners to import results from Marketo or other marketing systems directly into WorkSpan so you can have visibility into how your digital campaigns (or your partner’s campaigns) are contributing to your joint marketing efforts. It doesn’t stop there, we’ll continue to add more integrations with the most widely used marketing technologies.